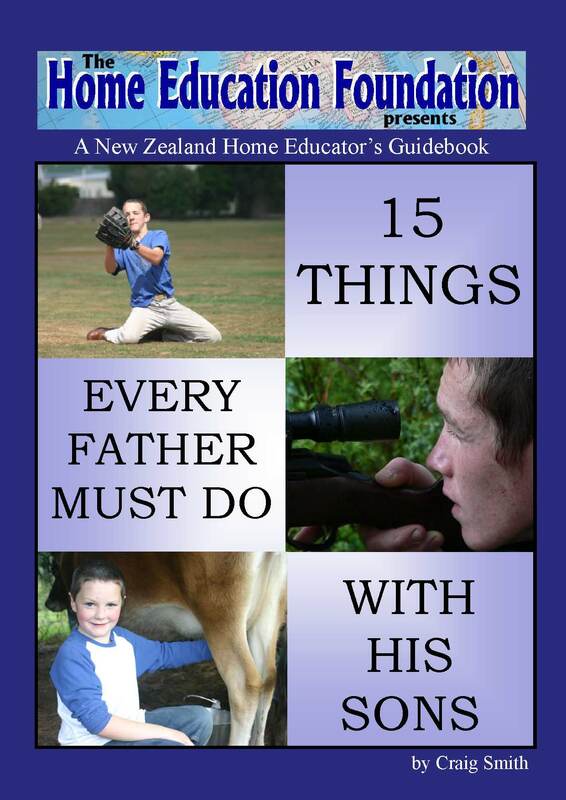 The main objective here is to help dads develop good personal relationships with their sons; to win their hearts and keep their hearts, so that the hearts of the sons will not as easily be enticed, seduced and captured by the many agents of subversion, perversion and evil out there committed to doing just that: stealing your child away from you. Dads, I know how busy we get and how easy it is to tell the boy not to bother you just now. I know how tired we can be at the end of the day and what a hassle it is to have a few littlies crawling all over you, clamouring for a story. It is just so easy to tell them to go off and play somewhere else for a while. daughters for only such a short season in life; they will be gone and out from under our influence and our roofs soon enough, and “me and the wife” will be on our own with an empty nest soon enough, desperately wishing we had those days back again. Let us not push them out by being emotionally or physically absent and unavailable to them. No! Instead, we need to learn how to invest in our children’s lives, disciple them for Jesus Christ to become fearless and committed soldiers of the Cross. This certainly won’t happen by itself. This booklet is a first step along the way.